Our Glass Fibre Composite grit bins are the toughest available and are manufactured with a lightweight core encapsulated in 20mm high impact strength glass fibre composite. This bin hold 224 kg of grit / salt and featured a hinged lift up lid that allows for easy access to the internal product. These heavy duty grit bins are a favourite of councils and local authorities as they are extremely tough, hard wearing, vandal resistant and can be left in situ all year round. Another advantage of GFC grit bins is that they are unaffected by extreme weather and will not go brittle in freezing conditions. 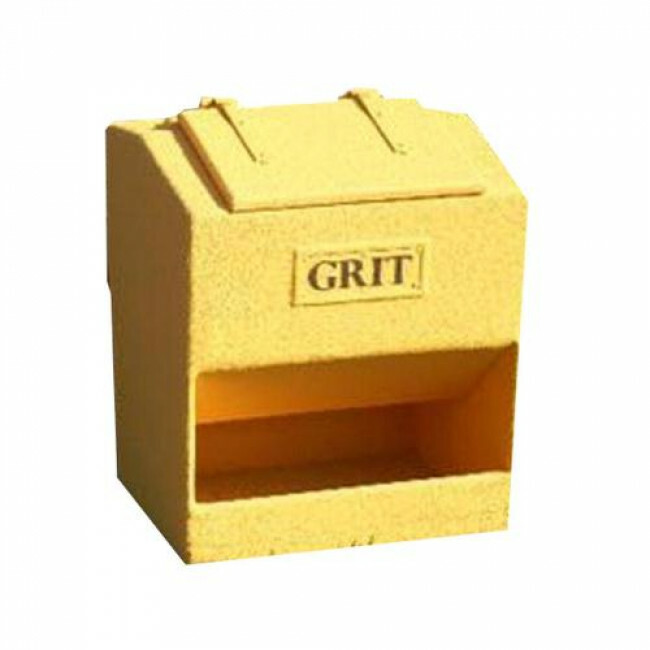 The grit bin is ideal for locating in residential areas, schools, colleges, car parks and by the roadside and to keep your grit / salt secure, an optional hasp and staple can be fitted to the bin. With this grit bin there is an option of a 'SALT' or 'GRIT' text plate, creating slight flexibility of the product. Further options with this product are either a textured or smooth finish (at an additional cost) and a closed or open front (also at an additional cost) - this allows for easy access to the grit with a shovel rather then from the top opening. 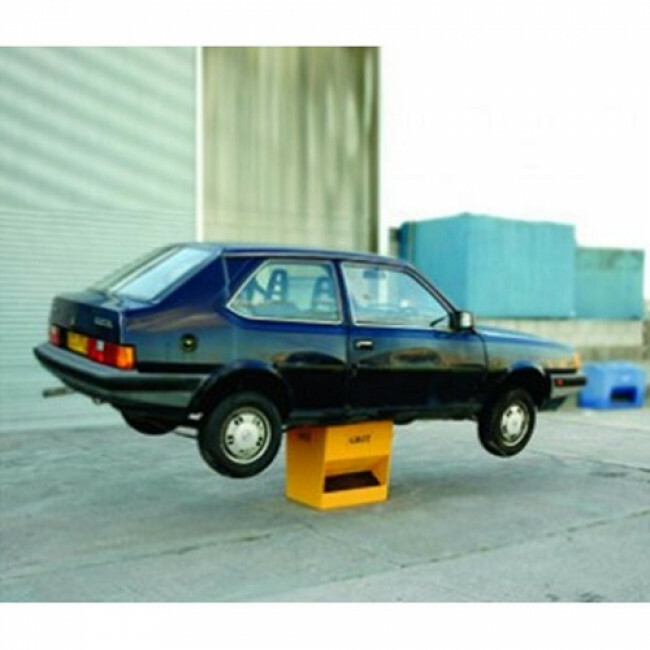 There is also an addition optional of fork lift runners - these make the bin easier to move and position when full of grit / salt. This grit bin comes with 1 year parts and labour guarantee.